Happy GM’s Day Sale at YourGamesNow.com! Expeditious Retreat Press along with many other publishers are celebrating GM’s Day at YourGamesNow.com! Pick up Magical Society titles, Monster Geographica beasties, 1 on 1 Adventures, 1E/OSRIC material, Seeds, and World Building Libraries on sale and get something special for the GM at your table. Gift Certificates are also available, and don’t forget to put a little something in the cart for yourself! Whew, a long issue this week dedicated to giving the weak critters of the world a fighting chance. Hopefully you’ll find a tactic or two you hadn’t thought of before – or have forgotten about – to use next session. Do you use clever tactics not listed in today’s tips? Drop me an e-mail. Thanks! I’ve been using the new D&D tile sets and they seem like a great GM aid. I’m wondering about storage and access though. With all the shapes and sizes, plus being double-sided, I’m wondering how best to store them with the ability to find the tile I’m looking for at any given moment, plus factoring in they’re double-sided. Do you use them? How are you working with them? Dungeons & Dragons 3.5 Downloads Now On Sale! Official D&D 3.x PDF books are now on sale for the first time ever for 30% off for a limited time at http://www.RPGNow.com Not only are they on sale, but they are now DRM security free! More books will be arriving next week so be sure to check back! Also don’t miss our _huge_ GM’s Day sale March 4th! Combat encounters are better when you play monsters to the best of their abilities. In numerous books, I’ve read good advice encouraging GMs to play a certain monster with cunning or a certain foe with intelligence. A pet peeve is when that advice isn’t followed up by examples. Often you are left scratching your heading wondering just exactly how you are supposed to GM a cunning or intelligent encounter with the creature. 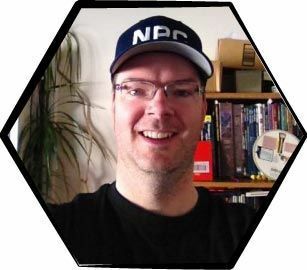 Following are a few tactics tips from the wise folks over at the GMMastery group, plus a couple of my own, to help you run smarter, more cunning combats that involve weaker creatures. Telas makes a good point about pinning down PCs. Often, players are happy to get into a toe-to-toe fighting rut, or they are worried about free attacks from foes if they try to break away from the current melee. If you could pin the PCs to one area of the combat encounter location, how could you use that to the monsters’ advantage? Keep the PCs out in the open while you have ranged attackers and spellcasters firing from cover. Surround the PCs. PCs often put the warriors to the fore and rear, protecting the weaker party members. If monsters can pin the PCs and surround them, they can reach these weak members. Give slow-moving critters a chance. Some creatures aren’t fast. Rooting the PCs to a certain spot gives slowpokes a chance to catch up and join the fun. Allow set-up time. The monsters might need to buy time while they get organized, set-up slow attacks, and give spellcasters time to buff them up. This is especially true if the PCs have caught the creatures by surprise. Good places to pin PCs are in narrow passageways and at entrances. This keeps them from employing all of their attacks, and will take them longer to plough through their foes. You can sometimes use description to draw PCs to a specific group of creatures wanting to pin their foes down. If you tell your players a group of critters over yonder are painted in blood, look like fierce warriors, and have their weapons set for a charge, many characters will attack without hesitation. Having the creatures throw insults at the PCs is also effective and makes for fun roleplaying. Doors open up many opportunities to unhinge the PCs. Illusion. If the critters have a shaman or other spellcaster capable of casting minor illusions, have them create an illusory door. While the PCs stand before it to chat and prepare themselves for entry, and while poor rogues step forward to pick the lock or check for traps, the critters take advantage of this delay to launch an ambush. Door traps. A door creates a bottleneck, increasing the ability of critters to predict intruders’ actions. For example, most intruders will need to step up to a door and then use the opening mechanism.Perhaps there’s a pit in front of the door (classic!) or contact poison on the door handle. A peep hole in the door is a good way to deliver blow darts or sprays of acid. Most people don’t look up often – a ceiling trap would complement a door trap nicely. An abstract observation is that doors create a sense of the unknown. What’s behind the door? The creatures know but the PCs don’t, and smart creatures will take advantage of this.For example, critters might put a Large Shiny Object(tm) at one side of the room so that, when the PCs burst through the door, they hopefully focus on that thing right away. This would let the critters ambush the PCs, wait for a particular target to wander within range, or wait for strong foes to wander far enough away so it will take them extra moments to come to the aid of their weaker friends.Another example is ye old wicker dragon. The creatures create a fake dragon (or creature of your choice) and launch it at any intruders who come through the door. This will hopefully create a knee jerk reaction. Spellcasters might waste a spell or two. Warriors might charge forward without checking for pit or wire traps. Ammunition might be wasted.An aggressive attack combined with some illusion or sleight of hand might cause foes to retreat or hesitate. For example, putting helmets on spears that poke up from behind cover to make it appear like an area is swarming with critters might send opponents in the wrong direction, cause them to slam the door shut right away, or pause to get a better idea of what they’re facing. Defense. Doors are good for defense as well. They compartmentalize area effects. If the critters are spread out in small rooms with doors, a critter could stand by each door and be ready to close it when it looks like a grenade or fireball is about to be deployed.Doors also slow pursuers down. Imagine a hallway with a series of doors left open that fleeing critters slam shut behind them. An even better improvement is self-locking or self-barring doors. Critters with spell-like abilities don’t need eight or nine hours to do their thing, and PC clerics often get their spells at dawn, so a couple of midnight skirmishes followed by a dawn attack would be particularly effective against caster-heavy parties. If the monsters have spellcasters, they don’t have to take part in the night raids. While they rest and recoup magic stores, PC spellcasters are being interrupted. Ranged attacks targeting sleeping casters work well to rouse those who refuse to join in the skirmishes. In some game systems, many buffs and magic effects only last for a few seconds or minutes. Some monsters might know this, or at least understand that magic is often temporary. Shamans or spell-slinging allies would be able to inform the critters of this if they aren’t able to figure it out for themselves. Therefore, the monsters might make an attack, or a feint, and then withdraw. After a couple of minutes they return to clean up on what might otherwise be a tough fight. Monsters who can outmaneuver their foes have a great advantage. Size is a factor. Small monsters can attack from or retreat to places the PCs can’t reach or must suffer penalties to squeeze into. Large creatures might have faster movement rates. Monsters who can climb, swim, or fly will pick locations that work to this strength. Ropes, vines, shelves, platforms, ledges, nets, and ceiling hooks let climbers gain a height advantage. If intruders climb up after them, they can climb to another location, leaving their slower-climbing or less skilled foe behind. Flying creatures will employ cover and safe spots only reachable from the air. They can attack from above, often resulting in an attack bonus. They can see the whole battle from a high perch and issue directives and warnings to improve the ground forces’ tactics and attacks. Swimming creatures will want the same thing as flying creatures – cover, hiding spots, exclusive access points – but from an underwater perspective. They also benefit from the finite lung capacity of air breathers. If a swimmer can lure a foe down too far, they can let the water make the kill. If a swimmer can survive long enough, an air-breathing foe will eventually have to retreat to the surface, letting the swimmer become the pursuer for awhile. Creatures who can ride will employ mounts to gain speed advantages, additional attacks, height, or new movement types. Look at creatures’ size, skills, and abilities and create an environment where they gain a speed or maneuverability advantage. At the minimum, this gives them a retreat benefit. The ambush is a good tactic for creatures of any intelligence level, especially when the purpose is to skirmish and harass the opponent. Get the party to waste their resources without wasting your own. Even a barely- intelligent opponent will use the environment to the fullest in an ambush, employing slopes, terrain, cover, light, and darkness to maximize their effectiveness. Critters pretending to be dead. A blocked path, such as a fallen tree or rockfall. Traitor. A brave critter becomes a party member, possibly far in advance, and influences the PCs’ pathfinder or becomes the guide. Path of lesser resistance. The route to the ambush seems like the best way, because the other routes are blocked, boring, or riskier. Freed prisoner. An escaped prisoner tells the PCs how to retrace his steps, or the PCs can track his route back. Trail of coins, blood, ruined equipment. Switched road sign, or craft a (mis)direction signal. Send a few troops to attack and then flee back to the ambush location. If the PCs investigate, they’ll send a scout ahead, or they’ll approach to the outer limits of their senses. A scout needs to be dealt with quickly and quietly. A concentrated attack or poison (unconscious, sleep, paralysis), for example, could knock a scout out and leave the rest of the enemy without any knowledge and one missing comrade. As soon as something worth investigating is sensed ahead, most foes will stop immediately and assess. They’ll try to pick up as much information at the outer limits of their senses before risking further movement. Smart ambushers will place their point of attack at this rough location, not at the site of the blockage, hook, or bait. Situation tweaked for maximum benefit from special attacks, such as bull rushing or charging. A rational opponent isn’t going to fight to the death over something petty. He will waste his sword-fodder, to be sure, but he won’t engage directly unless he knows it’s something worth risking death for, or unless he is pretty certain he can win. Ponder escape routes and conditions before running the encounter. Critters won’t trap themselves easily – they’ll pick another day and place to fight if possible. Experienced monsters won’t wait until they are nearly dead to flee, knowing that as soon as they turn their back they risk getting attacked again. It’s not enough to merely escape the field of battle. For creatures to survive, they must be able to dodge pursuers and retreat to a secure location. Leaders and important creatures will ensure they can retreat first and that troops will cover their escape or slow down pursuers. Traps and hazards are effective against foes moving recklessly at top speed. Misdirection also works. For example, while some red shirts are ordered to keep moving down the passage, the rest of the monsters take a hidden side-tunnel, or climb up to a hidden ledge. Multiple choice also causes foes to hesitate. If presented with three closed doors and no obvious flight path, pursuers must guess or take time to investigate. The location of retreat can be tricky. Fleeing creatures can’t run forever. If retreat occurred at the right moment, the critters should have plenty of reserves left. Have them retreat to a location of ambush where things are already locked and loaded for them. Beyond this location, have more retreat rallying points planned. The end of the line should be a defensible location. Perhaps the entrance is secure, such as a huge, barred, stone door. Maybe there is only once entrance/exit, and it leads to a shooting gallery or through a nest of hungry pets. This is the where the creatures will make their last stand – hopefully their foes have been sufficiently weakened so they either die here or choose to flee themselves. Wise foes will scout out their opponents. Long-range observers, spies, and scouts should report back to leaders regarding opponents’ equipment, abilities, tactics, strengths, and weaknesses. In a recent encounter I ran, a black dragon lured the PCs into battle with a minion and watched from cover. It now knows a lot about the PCs. Unfortunately, the PCs have gained a level or two since that encounter, so the party will have a few surprises yet for it. Information-gathering on behalf of critters creates interesting GMing opportunities. Encounters with scouts are possible now, giving you more game material to run that’s logical and realistic. If the PCs detect the spies, they can, in turn, learn about their foes. Spying tactics should also encourage teamwork and better character tactics. The world will also feel like a bigger space, full of danger. Successful spy attempts give foes time to tweak their attacks and defenses in a believable manner. Players get frustrated when every foe seems to have abilities constructed just to match or counter their own. If the characters are spotted using magic fire, perhaps the foes can gain immunity or resistance to fire. If the spies report use of mounts, then perhaps terrain can be modified to make riding difficult. Scouting also lets leaders coordinate and prioritize their attacks. They might decide top priority is eliminating fireballs, magic entanglements, and blessings. Alternatively, they might figure removing the armed threat quickly leaves the spellcasters vulnerable. Another consideration is disrupting spellslingers. Ranged attacks are effective. Charges by disposable troops also help by keeping spells focused on those attacks rather than on larger units or the battlefield in general. Smart leaders will spend spoils and loot on better equipping themselves and their forces. They will craft what they can, but they should be free with their money to not only increase chances of survival, but possibly even expand and grow in power. Monsters would try to buy magic. Underground agencies would not be scrupulous about their customer base. Monster leaders would hoard wealth and try to trade for potions (temporary magic for minions) and permanent magic for themselves. Shamans would want scrolls. Invisible critter rogues with sneak attack and invisibility potions could steal more stuff and ambush better, increasing hauls. Leaders would want magic power to stay in power as well. Perhaps obvious to most GMs, monsters should try to soften foes up as much as possible before melee. Ranged attacks such as thrown items, bows, poisoned missiles, acid, and fire are good for this. In D&D, some ranged attacks, such as acid, can be targeted at an area and provide splash damage. Hitting an area is easier than hitting an armoured foe, and concentrated attacks build up splash damage pretty quickly. This bring up a good point. Archers are more effective when given the order to concentrate their fire. It’s better to knock out a single, tough opponent than to spread damage across many foes. Who knows, a fallen foe at the start of the battle might cause a hasty retreat. Warriors have a limited range of effect at any given time, and they can be pinned or swarmed. Ranged attackers should concentrate on spellcasters first. Fire is fun, especially when attacking far from the lair or home base (where there’s little danger of burning down the homestead). Walls or areas on fire can be used to deter flight (of one’s opponents or one’s own troops), and funnel foes where you want. If a critter has immunity to fire, it can light a bonfire and throw hot rocks and flaming logs, and attack from inside. Flaming arrows not only do a bit of extra damage, but they are useful for setting areas on fire or igniting explosive traps. Characters can be distracted by flaming buildings filled with innocents, protecting forests, and saving fragile treasure. In D&D and other systems, fleeing and maneuvering critters often make themselves vulnerable to a free attack from their foes. Unless these free attacks are unlimited, smart monsters will willingly suffer these for potential, greater gains. In other words, don’t freeze critters in place out of fear for free hacks. Sometimes you need to take a hack to deliver two hits back. For example, if a path to a spellcaster opens up, several critters should rush over to make an attack. A free hack from the PCs might fell a creature or two, but interrupting or killing the spellcaster could save the lives of many. Organized critters will let damage sponges move first, as well. If they get hit a couple of times, chances are better they’ll still survive and get their attacks. In D&D 3.x, most PCs only get one attack of opportunity per round, so after each is triggered, all other foes can move around freely. If a PC has combat reflexes, foes will note this and avoid that particular PC. This realization has given my critters greater freedom of movement, and I stress less about triggering AoO during rounds. Summoned creatures and pets are also good at getting players to expend their limited free attacks before the other monsters move. This tactic was mentioned earlier, but bears repeating. Weaker critters are better off eliminating the frequency and quantity of attacks as much as possible. It’s far better removing the source of an attack every few hacks than distributing damage done across all opponents and facing the same onslaught throughout the battle. Capable leaders will coordinate their forces so that ranged attackers, spellslingers, and ground troops concentrate on a single foe until that foe falls or another command is issued. In addition, surrounding or flanking a foe often provides attackers additional boons and bonuses. If faced with extinction, weaker creatures will seek out strong allies. In the critter world, however, allies aren’t usually friends, but tyrants and villains. Critter leaders might not subjugate themselves, but their underlings will, and leaders will either be overthrown or accept the inevitable – for a time. Imagine a campaign where the PCs slay a tribe of orcs. How would other, nearby orc tribes react? They might suffer from denial and hope the PCs don’t come back, or be overconfident and eagerly await their return. Alternatively, they might unite under the toughest orc leader, or plead to a powerful monster to defend them in exchange for servitude. These two options are more interesting campaign-wise, and players will enjoy seeing the world react to their actions. Some bosses are better than others. A boss with a defensible lair is preferred. A boss with abilities that synergize with the critters’ will be petitioned first. For example, a black dragon in my game is supplying acid with which his orc and lizardfolk servants are crafting a huge supply of acid flasks. When planning out your campaign, add a few potential boss monsters to the region as possible future leaders and villains. Worst case is those monsters become side-plot challenges, which is great as well. What is your purpose in the encounter? Show the characters they are not the top dog, and even lowly goblins can take them on with a better than average chance of success? The place (forest, hills, whatever) is dangerous. Be careful. The players are overconfident and need to be challenged. The PCs have an enemy that has set them up and pushed this encounter on them. Based on your objectives, you can then determine just how cunning and well-trained the creatures are. Have knee deep trenches with punji sticks in them. This gives creatures a couple of rounds of missile fire to use. If there are weaker creatures present, such as females and offspring, put them to use reloading crossbows, handing out ammunition, or administering potions so the critters can keep up a steady rate of fire. Don’t forget about oil. Oil isn’t just for burning – it can make an uphill charge by PCs turn into a Keystone Cops routine with all the reflex saves for the non-magical Grease spell. Anyone who falls down is instantly coated. People who don’t fall need to save each round they aren’t paying complete attention to their footing (and with crossbow fire, who can do that?). On top of that, their rate of movement is cut by 1/3 or 1/2. Once this happens to two or three of the enemy, _that_ is the time for the torches to get tossed toward the oil. It’s good to have the leader designate an aide. They can go around and slap critters awake after a Sleep spell, throw water on the Burning Hands survivors, throw water on someone hit by an Acid Arrow spell, etc. Place individual creatures all over a densely forested area, with little hide covers camouflaged to look like ground. They take 20 to Hide initially, then take a shot, drop prone, and try to roll into hiding again using the sniping rules. If successful, pop out and do it again. The creatures should have all sort of traps set up around their hides, as well as a small tunnel that will take them perhaps 15 feet to another hide – just enough distance to hop out and get a flat footed attack on a surprised PC, or somewhere to hide if the attack goes wrong. Go the other way and put lots of ropes in the trees, with creatures swinging from tree to tree to stay away, whilst raining arrows down. One huge old tree is completely hollow and they’re shooting out the knot holes as well. For creatures of the wild, give them the ranger class, chosen enemy human (or elf, if a tribe lives nearby, or dwarf, if they live in caves…) and watch how dangerous they suddenly become. Make half the critters two-weapon specialists, doubling their chances of hitting. Two short swords, poisoned, with Improved Critical means on natural rolls of 17-20, someone is hit with a nasty attack. That’s a 5% chance per swing of connecting, no matter what the AC. Remember, a critical threat always hits, even if it isn’t confirmed for the extra damage. For the other half, make them bow specialists. Poison their weapons as above, and make full use of the feats the ranger class gives. Give crossbowmen high Dex and Rapid Reload, so they can move and shoot. If levels allow, give them Point Blank and Precise Shot. One or two of the crossbowmen per spellcaster should ready an action to shoot as soon as the caster begins casting. The others will choose targets in this order: spellcasters, anyone not in melee, and lightly armored foes. Regardless, one will call the target, and all of the non-readied crossbowmen will attack him. The melee fighters will be divided up into two teams. A higher-level A team will have high Dex, Swarmfighting, Weapon Finesse (depending on weapons), and possibly some mild poison. The B team will have a decent Str, and will Power Attack with longspears. To the extent possible, both teams will combine attacks on one target. The leader of the gang might have Spring Attack (and all the prerequisites) and a longspear. If the terrain prevents 5′ steps, that’s a devastating combination. He may bark out orders and spring in to identify the target. A couple of sorcerers make for nice field artillery. Web and Summon Swarm have a nice synergy, and Ray of Enfeeblement can keep someone in a Web for possibly the rest of their life. A cleric can also help (maybe with a Bull’s Strength on the leader). Environment is the great equalizer, and creatures will pick one that’s to their advantage. If every square is 2x movement cost, it’s difficult to get in a full attack action, or to move decently and attack. Any armored fighter can tell you a steep climb is literally a killer in an ambush. If this is underground, consider a low roof or unstable footing. Outdoors might mean underbrush, scree slopes, or snipers in the treetops. Assuming the creatures get to pick the battlefield, they will prepare it for an ambush and a retreat guarded by traps. A decent interval of preparation time should allow a significant Hide bonus for the ambushers. Focus on one character at a time. When (if) the attack starts going poorly, they will withdraw along the predetermined retreat paths, letting the traps slow their pursuit. Have fun with your game and group. Don’t abuse players with optimized tactics, but remember that the monsters have done this before, and did well enough to make it to where they are now. If you are poor at tactics, pick foes that have a lot of troops so you can practice up plenty before the battles with stage bosses and villains occur. Players show up to have fun. If they enjoy being challenged with superb tactics, exploit your weak creatures using the tips in this issue and any others you can find. Not all groups like this style though, so use the tips to increase the challenge and drama, and to create believable opponents, but go easy on killer tactics, such as targeting single PCs until they fall, poison use, and so on. For roleplaying and storytelling, be sure to add personality to opponents. Have them surrender, talk during battle, offer peace or parley, take prisoners or threaten allies or the innocent for leverage to avoid battle altogether. Thanks to the folks at the GMMastery group for permission to post and paraphrase their great advice. Your tabletop never looked better! These Dungeon Tiles are the third in a new series of dungeon-building aids for Dungeon Masters. Easy to set up and infinitely expandable, this pack contains six durable, double-sided, four color illustrated dungeon grids, featuring rooms, corridors, and passages of various sizes, plus doors, walls, and other terrain elements. Use these tiles to make great D&D encounters that enhance your roleplaying game experience. This issue is running long, so I’m going to switch the format for this week and just publish all the dice roller links sent in as per my request in Issue 346. Thanks to everyone who responded! I use Irony Games Dice Roller. You can use it roll any die, up to 100 times, and it prints the results in usable format. I like Irony Games Dice Roller because you have the option of e-mailing the roll to someone else. I feel the urge to advertise my own dice roller. You can choose the type of dice, the amount of dice, and the number of rolls. It also supports sending the result to your GM as an e-mail. Last, but not least, it uses true random numbers from www.random.org so no pseudo-randomness here! I like SmallRoller. Tons of features and easy to use.